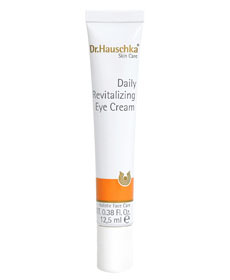 Dailly Revitalizing Eye Cream - Give eyes a refreshed, radiant look with this super hydrating formula. Provides extra nurturing support to the delicate eye area with moisture rich plant extracts that repair and refine the appearance of fine lines. This deeply penetrating cream is an ideal base for make up.